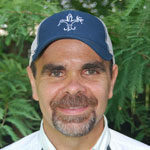 The third time was the charm for Garret Perkins when he targeted a big bedding bass on March 25 in the Negreet area of Toledo Bend. 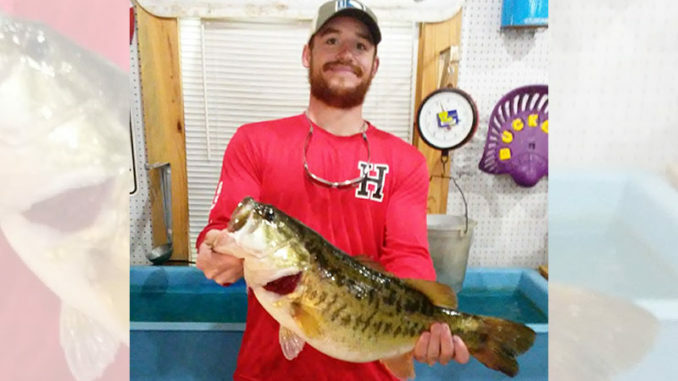 The 25-year-old Mamou angler was fishing in about 3 to 4 feet of water on a channel swing next to some buck brush around 9 a.m. when he spotted the big female. The huge fish put on an aerial display, jumping six or seven times before Perkins, who was fishing alone, finally lipped it in. “When I lipped her, I was telling myself, ‘This can’t be what I think it is.’ I thought she was a 5- or 6-pounder on the bed, but I didn’t realize it was 3 or 4 feet deep. I was thinking it was 2 feet deep,” Perkins said. 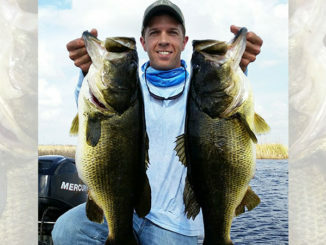 “When I first hooked her, she came out and shook and I knew then she was at least a 7- or 8-pounder. 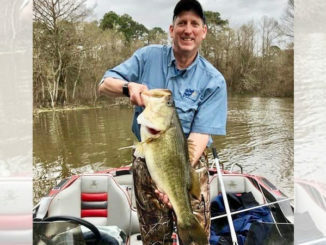 On top of it being his biggest bass ever, Perkins had signed up for the BassCashBash tournament the day before at Toledo Town & Tackle, so he earned a cool $1,500 for catching a certified 10-pounder with the bonus. 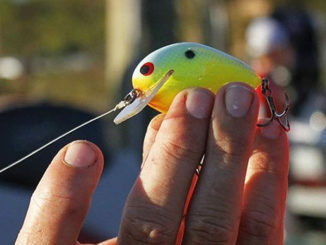 At Buckeye Landing’s official scales, the fish weighed 10.46 pounds, and measured 25 ¼ inches long with a 19-inch girth — easily qualifying Perkins for entry into the Toledo Bend Lunker Bass Program, which awards anglers who return double-digit fish to the reservoir with a complimentary mount.